VATICAN CITY (CNS) — The first task of the Catholic Church “is not to hand down condemnations or anathemas, but to proclaim the mercy of God,” Pope Francis told members of the Synod of Bishops on the family. At the end of the synod’s final working session Oct. 24, Pope Francis was honest about the differences of opinion present among synod participants and about the tone of their discussions sometimes exceeding the bounds of charity. But he framed all those differences as an opportunity for learning. 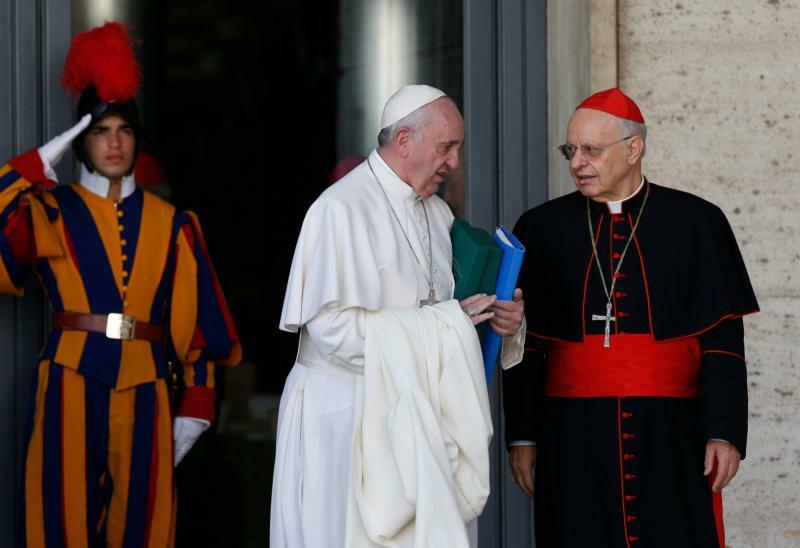 “In the course of this synod, the different opinions that were expressed freely — and, unfortunately, sometimes with methods that were not completely charitable — certainly led to a rich and lively dialogue,” the pope said. Clearly, he said, the three-week synod did not resolve every problem facing families or even every question of how the church can best minister to them. But it did try “to enlighten them with the light of the Gospel and the 2,000-year tradition and history of the church” formulated in ways people today can understand. It’s hard holy father to break through the curia’s culture of fear and control. Not to make light of it or to minimize their commitment to the church or truth, but I think it’s a lack of faith Ln the movement of the spirit on and through OUR history. A fear to observe and read the signs of the time.He is risen He is with his church.